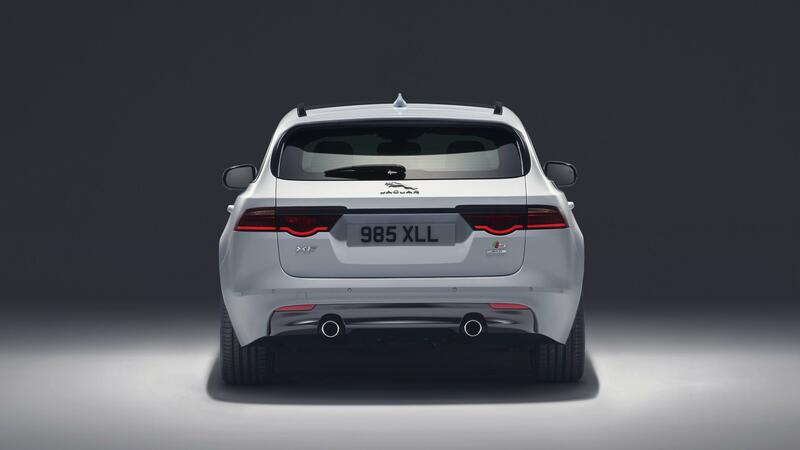 Jaguar has been teasing their second generation XF Sportbrake for the last few months. They slapped a silhouette on Wimbledon’s centre court and showed off the new full length panoramic roof with a tantalizing birds eye shot. But now the foreplay is over. The sportbrake is here in all its glory and it’s pretty to say the least. The main reason behind the cars good looks is a man called Ian Callum. If his name doesn’t ring a bell perhaps a few of his designs will: Jaguar F-type, Aston Martin DB9, and Ford RS200 to name a few. It’s fair to say he knows a thing or two about automotive design. 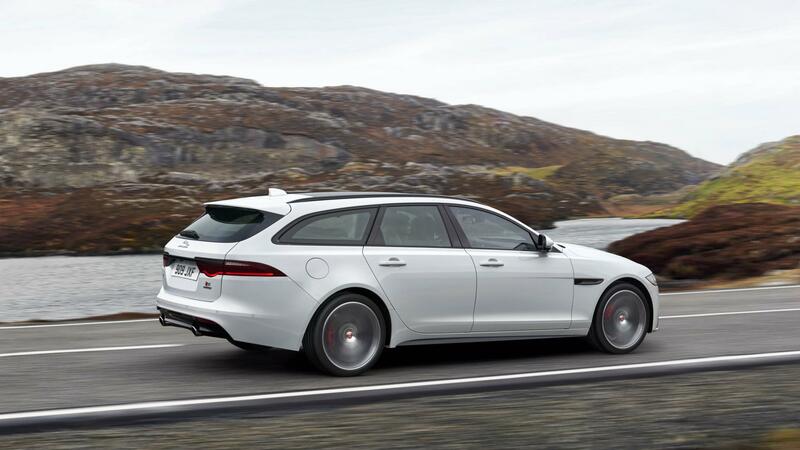 The second generation XF sportbrake features a longer wheelbase, up 51mm to 2,960mm. This means improved rear leg room and boot space. The chassis itself is now the same stiffer and lighter aluminium structure found under the saloon. 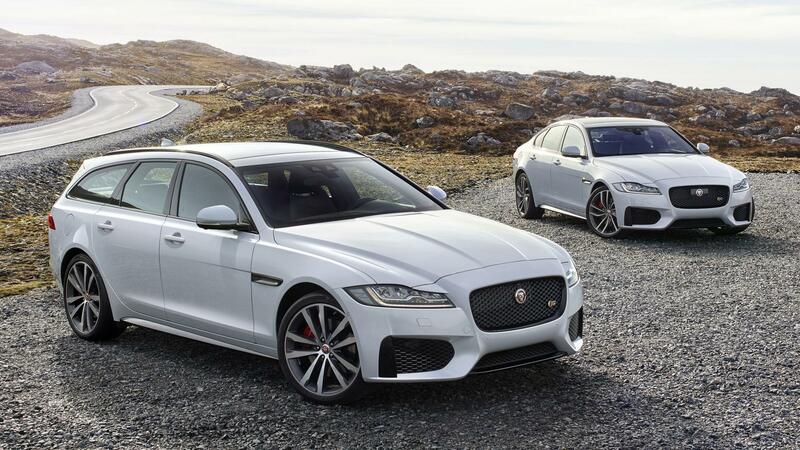 Despite what the cleverly designed bodywork would suggest, both saloon and estate cars are in fact the same length. Seats in the up right position, boot capacity stands at 565 litres. That’s five fewer than the 5 Series touring but on par with the A6 Avant. 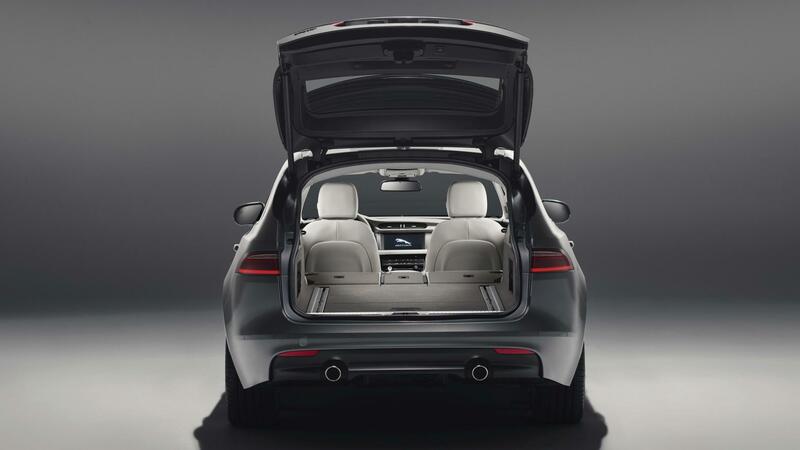 With the seats folded flat, the XF Sportbrake can swallow 1700 Litres, making it the prettiest way to transport a fridge. The automatic leveling rear suspension ensures no matter how you fill that space, the car always rides right even when pulling weights of 2.0 tonnes. 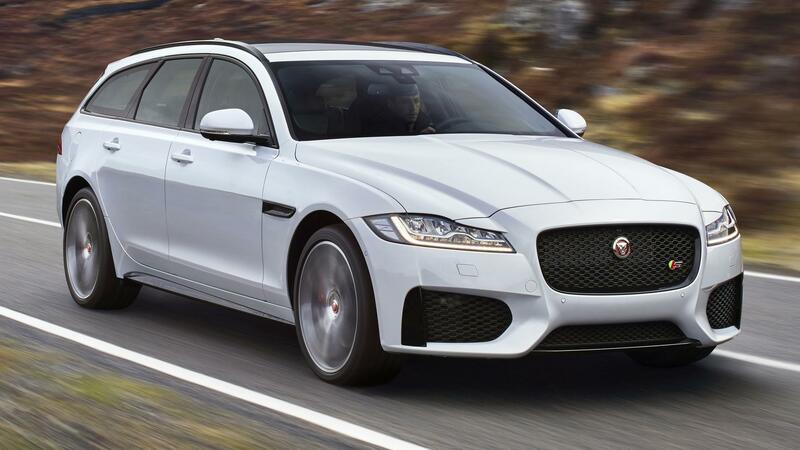 Jaguar offer five Ingenium engine options. There are three four-pot diesels ranging from 161bhp to 236bhp, a 296bhp 3.0-litre V6 diesel, or a 246bhp four cylinder petrol. With the exception of the 161bhp motor (which comes standard with a manual box), all engine choices will be bolted exclusively to an 8 speed auto. The 161bhp diesel and 296bhp petrol are RWD only, whereas the V6 and highest powered diesel are AWD as standard. Inside is typical XF. 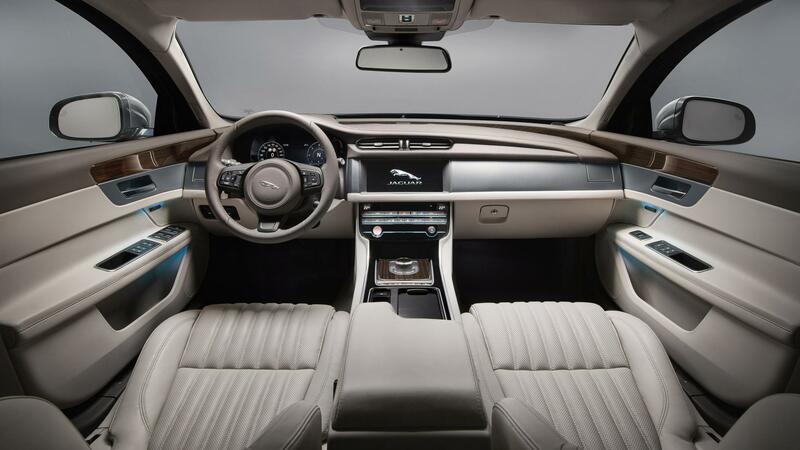 It’s awash with soft leafter and wood because, Jaguar. Check the right boxes there’s a whole host of tech; a full-colour 12.3-inch TFT instrument cluster, 10-inch central touchscreen and gesture control for both the boot and interestingly, the sunblind. 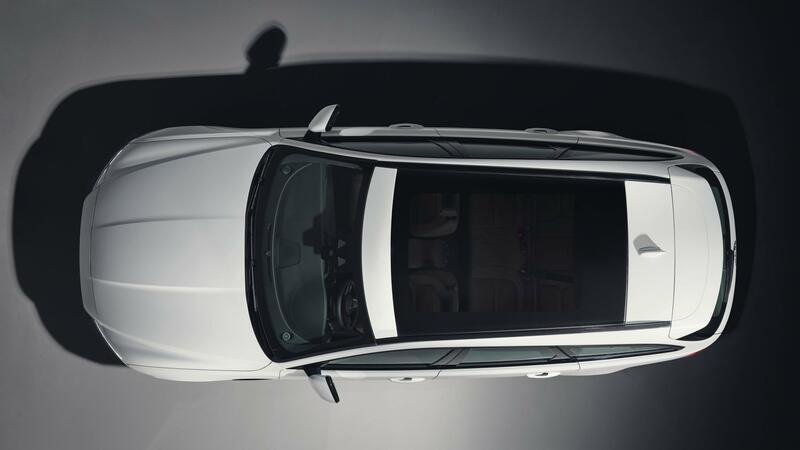 The XF Sportbrake also now includes a new cabin air purification system that purifies the air, neutralises odours and removes bacteria. This entry was posted in News and tagged Daily, Jaguar.